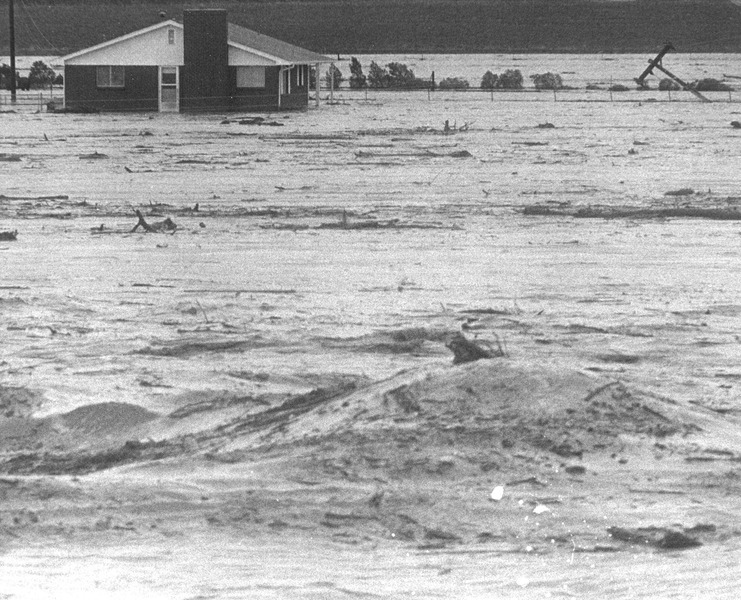 For two days in June of 1965, torrential rains caused historic flooding of the Platte River in Denver. Scott’s Liquid Gold was a tiny company based just blocks from the swollen South Platte River. Years earlier in 1951, Ida Goldstein had purchased the formula and remaining inventory of Scott’s Liquid Gold from a door-to-door salesman. Ida was a widow with three sons and had weathered the great depression alone. By 1965, Ida’s oldest son, Jerry, had taken on the task of building Scott’s Liquid Gold into a business. 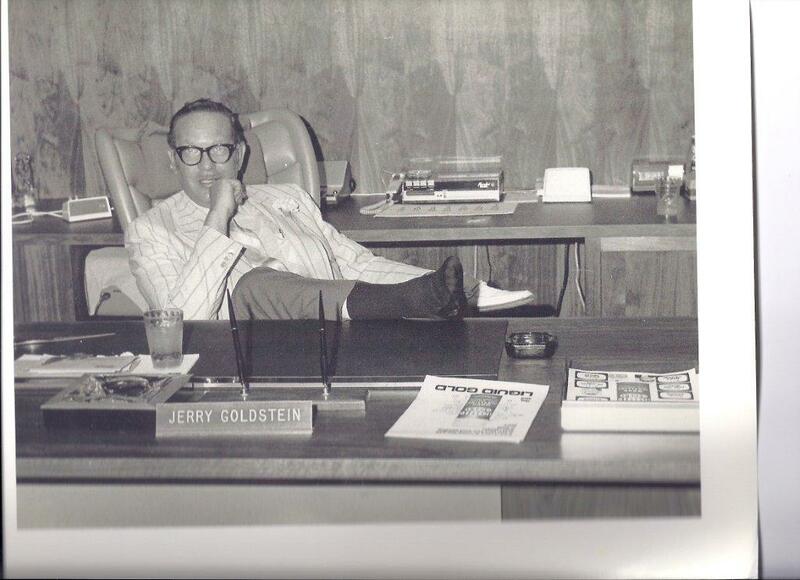 Jerry Goldstein in 1970 after moving the plant to its current location in Denver. On June 16, 1965, Jerry watched the Platte River rise and feared that Liquid Gold and years of work would be wiped out. It took several days for the water to recede and for local business owners to be allowed back into the flood ravaged area. It took several more days just to get the door open to assess the damage. Jerry expected to find that everything had been washed away or broken beyond repair. To his surprise, although severely battered and bruised, most of the bottles and equipment were intact. Without insurance, the clean-up began. Jerry realized that as the flood waters rose, the bottles simply floated. As the water receded the bottles settled again on the dirt and mud left behind by the rushing water. The Scott’s Liquid Gold bottle in 1965. With the help of his family and friends, they cleaned and sorted bottles and put the small manufacturing facility back together. Within weeks Jerry was batching and bottling by hand and filling orders just as he had before the flood. 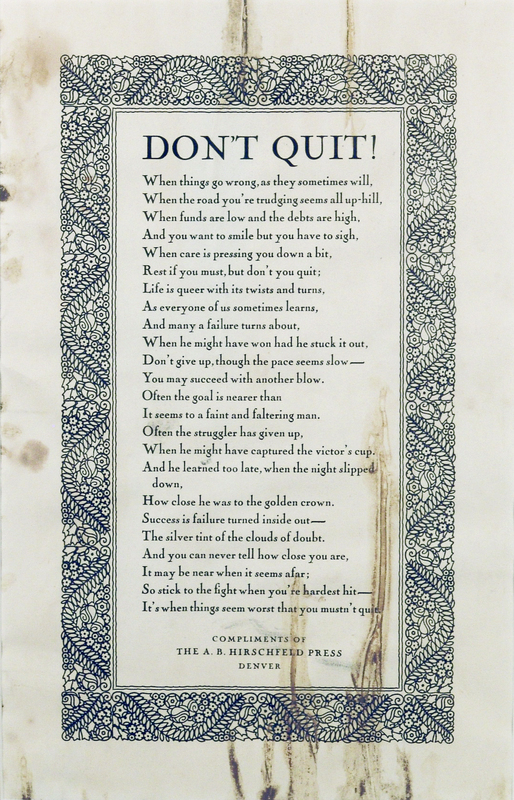 To encourage Jerry as he was building the company, Ida had given him a framed poem called “Don’t Quit”. Her years as a single mother during the depression had made her tenacious and she never gave up and she expected the same from her sons. The poem hung on the wall of a tiny office in the small manufacturing facility. When Jerry first opened the door to the plant a few days following the flood the first thing he found was the poem. Like the bottles, it simply rose and fell with the flood waters. Scott’s Liquid Gold survived the flood of 1965 and has gone on to thrive for another 50 years. It is one of the most well-known and trusted brands in America today. Jerry’s only son, Mark, worked with his dad for 22 years and has led the company since his father’s death in 2000. Jerry always believed that the poem survived as a reminder to never give up on your dreams and keep going because you never know how close you are to seeing your dreams come true. To the millions of Americans with big dreams and high hopes, we want to encourage you to keep going. Success may be closer than you think. It’s when things seem worst that you musn’t quit. This entry was posted in America, Family, Floods, Household, nostalgia, Retro, Scott's Liquid Gold. Bookmark the permalink.